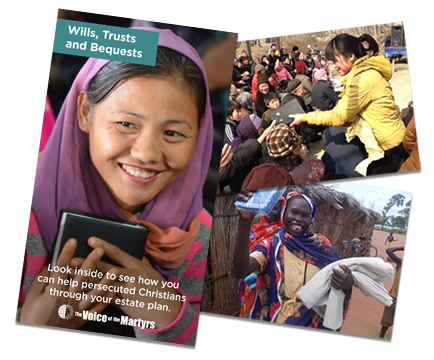 Donating appreciated real estate, such as a home, vacation property, undeveloped land, farmland, ranch or commercial property can make a great gift to The Voice of the Martyrs. Your real property may be given to The Voice of the Martyrs by contacting iDonate at (877)897-4273 or email at donation@idonate.com. You may deed part or all of your real property to The Voice of the Martyrs. Your gift will generally be based on the property's fair market value, which must be established by an independent appraisal. Fair market value is more than $50,000. If the property is zoned commercial or is farmland, the Phase 1 environmental report comes out clean. There is no debt on the property. After the donation, iDonate will be the sole owner of an undivided interest in the property. In other words, the donor can subdivide the property and give a complete interest in one of the parcels, but iDonate prefers not to accept property where they will be co-tenants with others. iDonate prefers not to accept property that is subject to a rental agreement unless there is reasonable certainty that the property will sell within one month. iDonate will consider deviating from these qualifications on a case-by-case basis. Please contact iDonate if the property you wish to give has existing debt or a mortgage. If iDonate is able to accept the property, you may wish to contact your advisor about the capital gains tax implications of your gift.